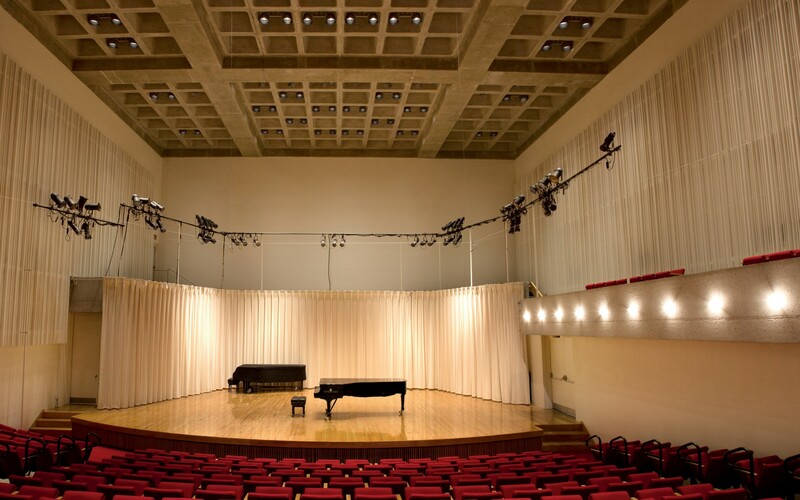 Prior to the adoption of Lumentalk and LED technology, Buckley Hall was forced to close three weeks a year and erect scaffolding to change lamps. 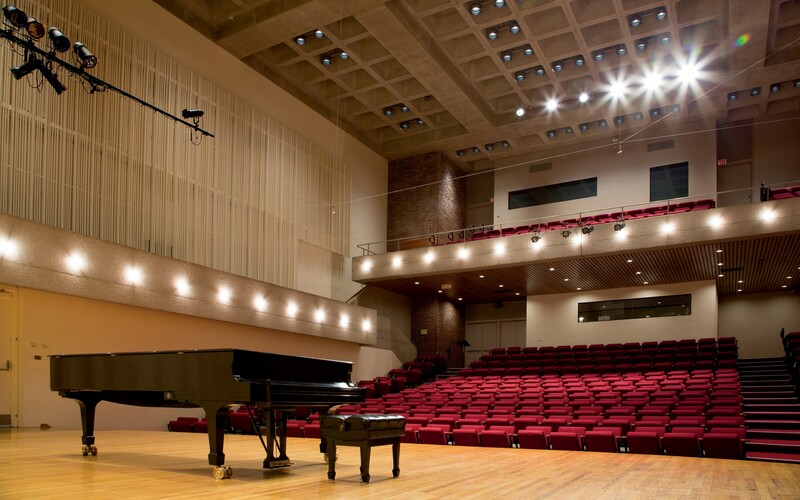 Using Lumenpulse's Lumentalk technology, lighting design firm Horton Lees Brogden brought flexible digital lighting control to Amherst College's Buckley Hall - without any re-wiring. The new design has added great flexibility and reduced maintenance costs by $50,000 per annum. Lumentalk technology allowed us to use the existing wiring, which gave us a lot of options, and helped overcome architecture that was hard to work with. 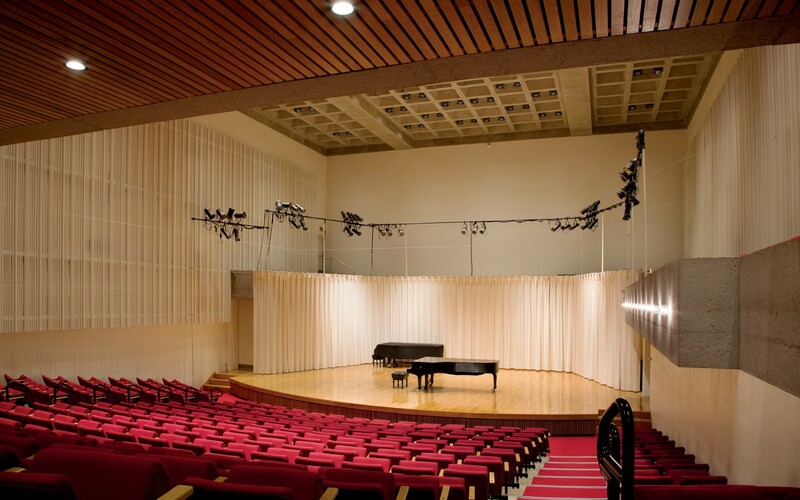 Built in 1968, Buckley Hall is the artistic heart of Amherst College, serving as its primary concert and rehearsal facility. 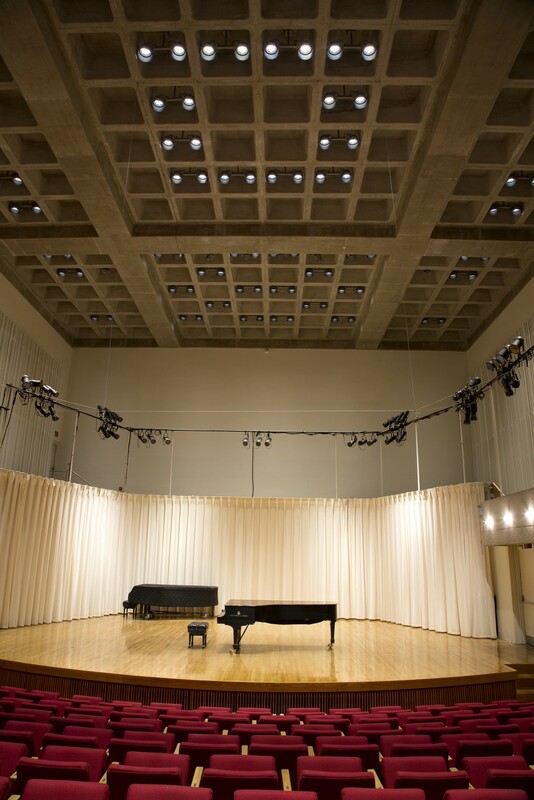 The recital hall, however, had originally only been designed to serve as a basic performance space. As a consequence, the school has struggled with an antiquated, inflexible lighting system that forced them to close every summer for maintenance - with lamp replacement and scaffolding costs soaring to over $50,000 annually. 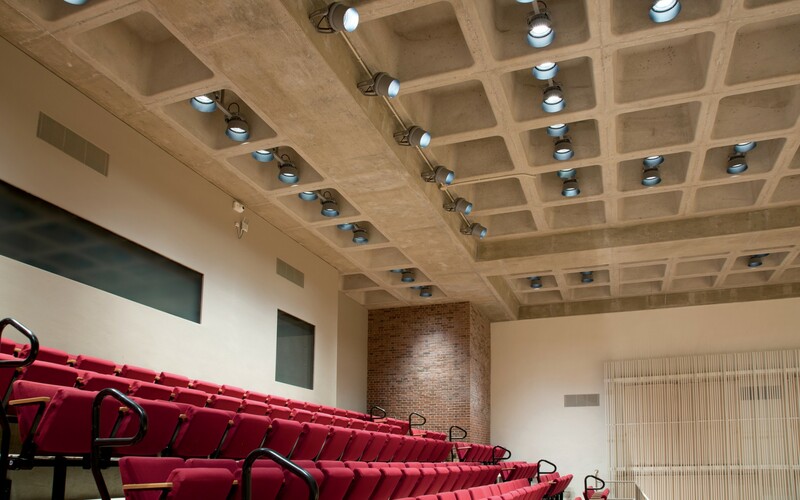 To maximize flexibility and reduce the overall cost of ownership, Amherst College turned to lighting design firm Horton Lees Brogden (HLB), who sought to revive the space with a more contemporary approach. 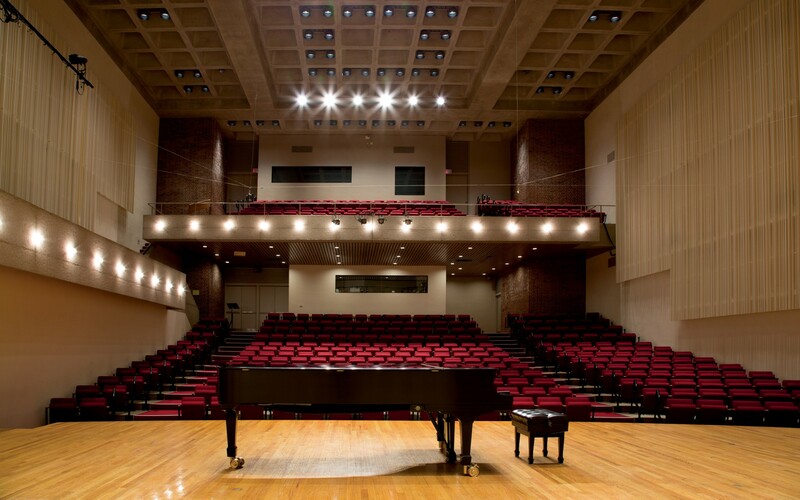 "We were looking for something that would get Buckley Hall into more modern technology and improve the overall lighting environment, all while also reducing maintenance needs and energy draw," HLB Associate Principal Carrie Hawley says. To accomplish this, HLB used Lumenpulse's breakthrough Lumentalk technology, which turns electrical wiring into a robust digital control network. 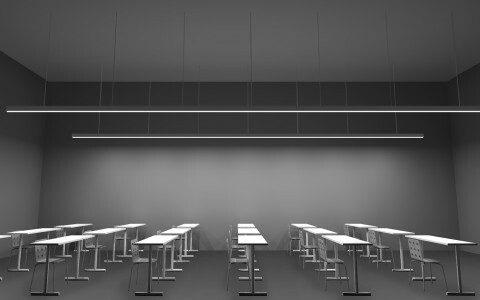 By using the existing infrastructure as a carrier for data, Lumentalk brings instant lighting control to projects without the need for rewiring. With these capabilities, HLB was able to make each luminaire addressable - integrating the house lights with the DMX control system already in place - and saving the client from expensive and disruptive data wiring. 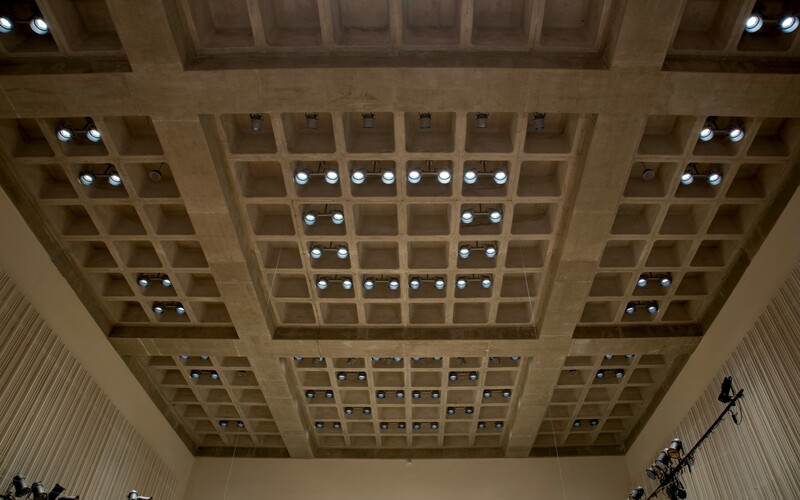 "Lumentalk technology allowed us to use the existing wiring, which gave us a lot of options, and helped overcome architecture that was hard to work with," she says, referring to the structure's concrete "waffle" ceiling. The technology also allowed HLB to provide stage managers with a whole new level of flexibility, adding 13 new zones of control. "We used existing controls and just added and replaced technology. Everything can now be dimmed, zoned, individually programmed and addressed, with a series of separate control points for the stage and the audience," she says. 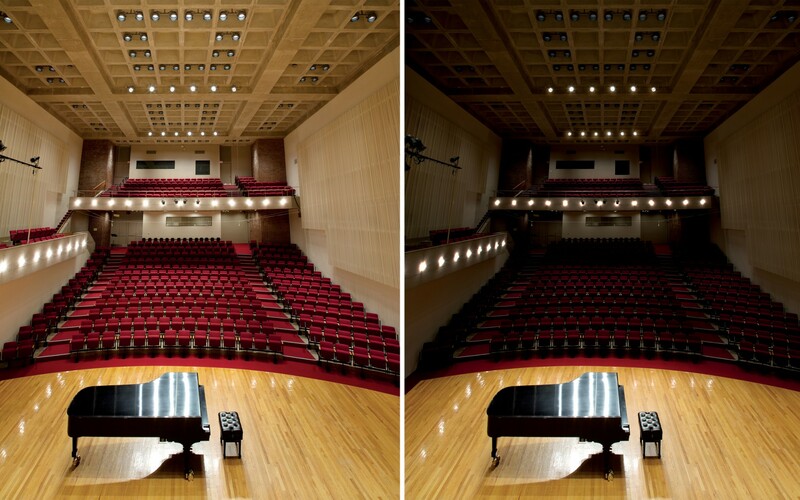 To reduce maintenance and energy costs, HLB replaced the short-life 250-watt incandescent fixtures with 100-watt Lumentalk-enabled Lumenpulse LED fixtures, dimming controls and sensors. This has significantly reduced energy draw and eliminated the school's costly annual maintenance and relamping process. HLB used a combination of Lumenbeam Large luminaires to accomplish both the stage and house lighting. 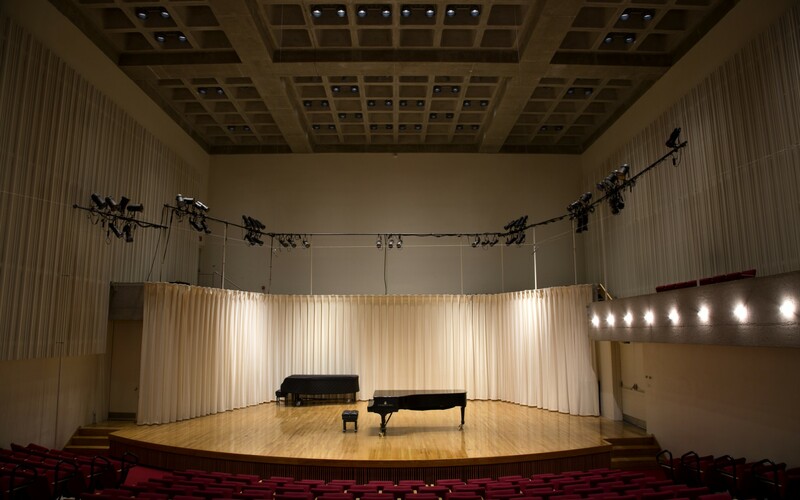 The firm placed three rows of narrow-spot Lumenbeam Large 10° fixtures on beams to light the stage, with 20° and 40° flood luminaires illuminating the stage and seating areas. With 14 separate zones of control, the school can now adapt the lighting to suit different types of performances and events. 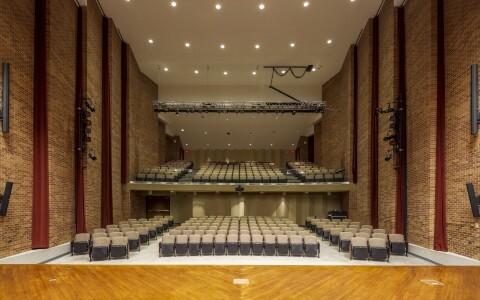 Stage and house lighting can also be successfully managed, allowing the audience to read a program or performers to read music, while eliminating shadows on faces during performances. 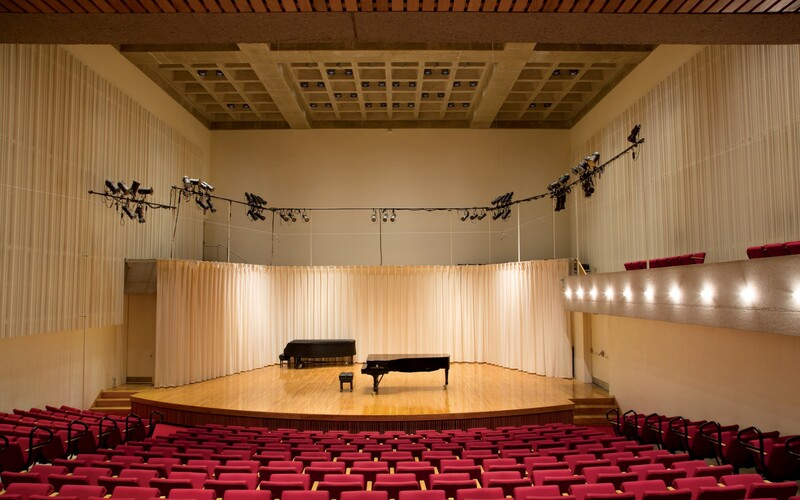 The end result creates a truly modern, multi-functional performance space. 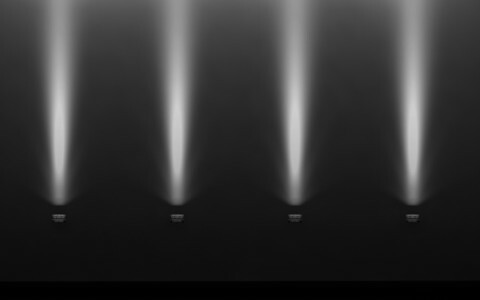 "Theatres are places to see and be seen … and the lighting has to make sure that everyone, including the audience, looks good and feels good," Hawley says. "It's all about making sure the space feels wonderful."